The flavors of these vegetables are acquired tastes and are not every gardener’s choice. Jerusalem and Chinese artichokes are easy enough to grow and yield a good crop, taking up little space, but the globe artichoke is rather wasteful of space and it does require a little extra skill to grow it well. Chinese artichokes (Stachys affinis) The tuberous roots, which are knobbly, are eaten as a root vegetable during the winter. The tubers should be planted 10cm (4in) deep in any ordinary soil, that has been well prepared, in spring, spacing them 25cm (9in) apart in rows 45cm (18in) apart. No further cultivation is required except occasional hoeing. The tubers are lifted as they are required but in severe weather cover the ground to prevent it from freezing too hard. Plants grow 30-45cm (1-1.5 ft) tall. Globe artichokes (Cynara scolymus) These plants are very ornamental, they grow to about 1.5m (5ft) and produce large flower-heads which are gathered just as the scales are beginning to open. The flower-heads are boiled and the fleshy portion at the base of each scale is eaten, together with the base of the flower. 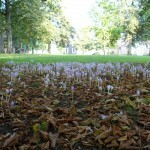 To grow these plants well the ground must be deeply dug and manured. 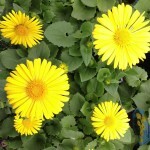 Plant the off-sets in the spring at least 1m (3ft) apart each way and choose a sunny position. Keep the plants well watered during dry weather and mulch the beds in the spring. The beds should be renewed about every three years, so it is a good plan to detach off-sets from the parent plants every spring and make a new plantation, discarding any beds that are over three years old. It is important to protect the plants in the winter by placing some bracken or other protective material over them in October. If the soil is too heavy or wet they are liable to rot in the winter; the ideal is a sandy loam. Seed is another method of propagation but a slower one. Seed should be sown in an unheated greenhouse or frame in March or outdoors in April. As soon as the seedlings can be handled, transplant them and transfer them to their final quarters in the following spring. 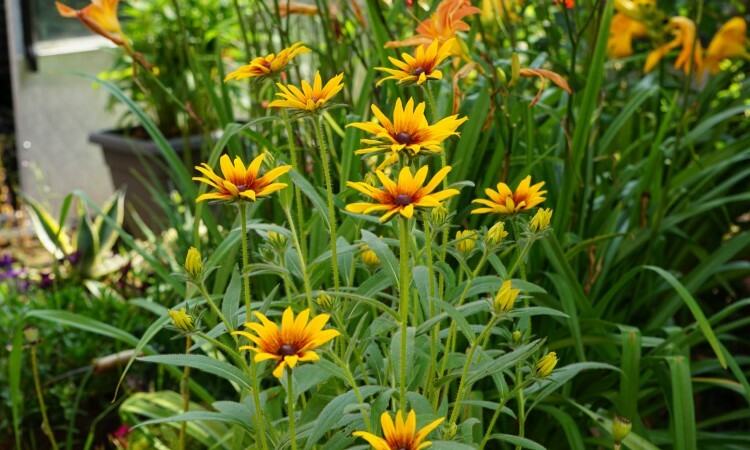 Jerusalem artichokes (Helianthus tuberosus). The tubers of Jerusalem artichokes are very similar to Chinese artichokes but they are larger and more irregular in shape (those of the French variety `Fusean’ are larger and less irregular as well as being more palatable). The tubers are planted in February, or earlier if the ground is workable. Space the tubers about 45cm (18in) apart in rows lm (3ft) apart, in ground that has been well dug and manured. They will grow in any odd, rough corner of the garden, but they appreciate a well-cultivated site. These artichokes grow to about 1.6m (5ft) in height and look very like the sunflowers to which they are related; they make an excellent screen for an old shed, manure heap, compost heap or other unsightly part of the garden. The top growth should be cut down in the autumn, leaving the tubers in the ground. These are then lifted as they are required or they may be lifted and stored in some dry soil or peat in a shed. If they are left out of the ground for long they will shrivel. During the summer the ground between them should be hoed occasionally but they do not need any further attention. Tubers for planting the following year can be selected from those lifted in the late winter and replanted almost immediately.